Michael Cohen, center, the former lawyer for President Donald Trump, exits federal court after his sentencing in Manhattan, Dec. 12, 2018. Cohen said he knew arranging payments during the campaign to quiet two women who claimed to have had affairs with the candidate was wrong. He said Trump knew it was wrong at the time, too. 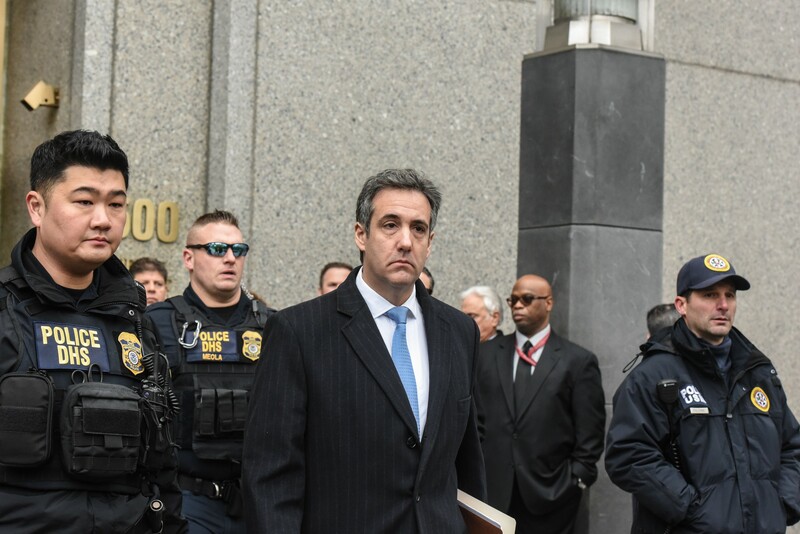 WASHINGTON — President Donald Trump’s former lawyer and fixer Michael D. Cohen said he knew arranging payments during the campaign to quiet two women who claimed to have had affairs with the candidate was wrong. He said Trump knew it was wrong at the time, too. “Of course,” Cohen said, when asked by the ABC News anchor George Stephanopoulos whether the president was fully aware of what his lawyer was doing. The interview aired Friday morning. The comments were Cohen’s first since he was sentenced to three years in prison by a federal judge on Wednesday. He pleaded guilty to helping to arrange payments to the two women, a violation of campaign finance law, and for lying to Congress about the duration of deliberations about a proposed Trump Tower in Moscow. Some of the information Cohen has provided to the special counsel investigating Russian interference in the 2016 election has delivered blows to Trump’s legal strategy, including implicating Trump in campaign finance violations because he said Trump authorized the payments. On Thursday, Trump and one of his personal attorneys, Rudy Giuliani, said the president was not to be blamed for the campaign finance crimes, because he trusted his lawyer, Cohen, to know the law. Trump has lashed out at Cohen since he entered his guilty pleas in August and disclosed that Trump had directed him to arrange the payments to the two women. On Thursday, Trump accused Cohen of trying to embarrass him. Cohen said that he saw himself as the person tasked by fate with helping the country.